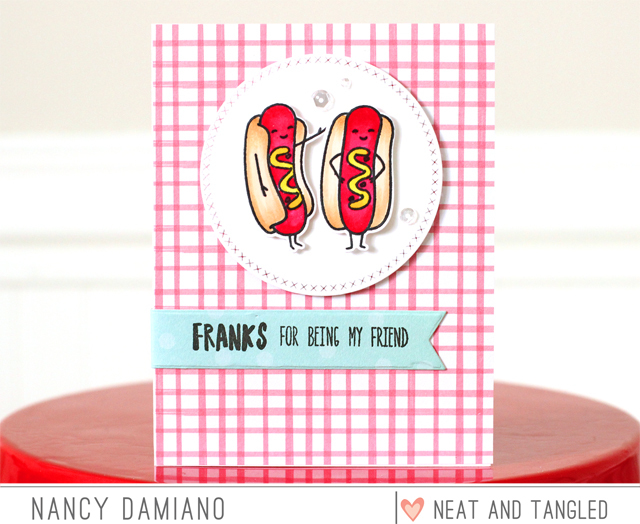 The Paper Orchard: Neat and Tangled June Release | Hot Dog! So fun with the hot dogs and this sentiment. Such a cute card! With the paper and circle diecut, it looks like two hotdogs on a plate on a tablecloth. Fun! Super duper cute card. Love the simple design. I've been calling them "dogs". Either name, they are cute. Your card is so cute, love it! Love those dogs--that red and white checkered background is PERFECT! Great background! Looks like a picnic! Cute! and a perfect background! 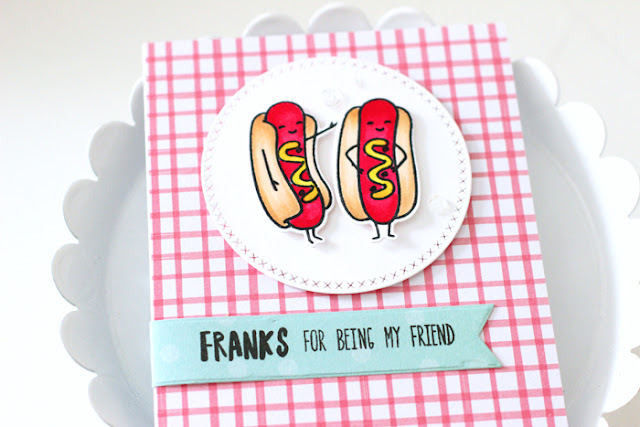 Cute design for the hot dogs. I like the red grid background. Oh my !! This is such a super fun card ! The plaid looks so cute in the background. What a cute card. Super cute card! Love the franks on the plate with the grid design background ... cute idea!